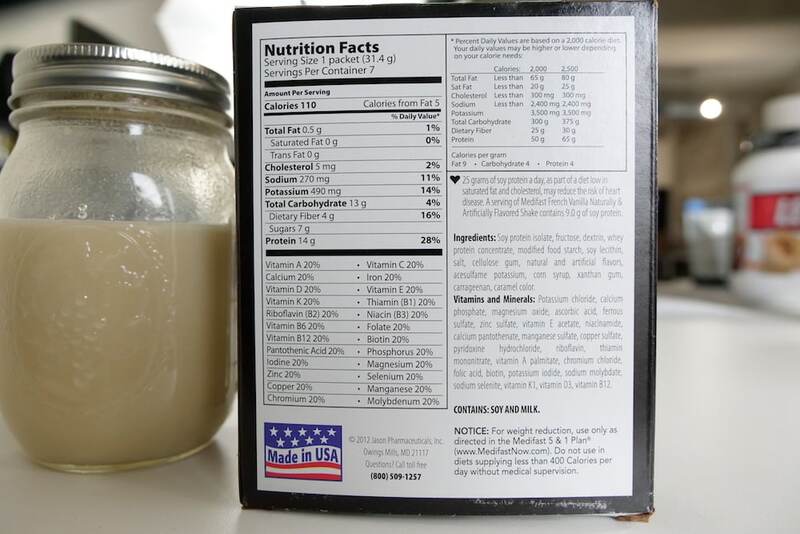 Home » Medifast Meal Replacement Shake Review — High Protein, But Too Low Fat? Medifast Meal Replacement Shake Review — High Protein, But Too Low Fat? 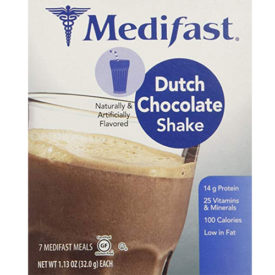 Medifast is based in Maryland and while shakes are one of their most prominent products, they are just one of several “Medifast meals,” along with low-calorie bars and brownies, that you can incorporate into their weight loss plan. 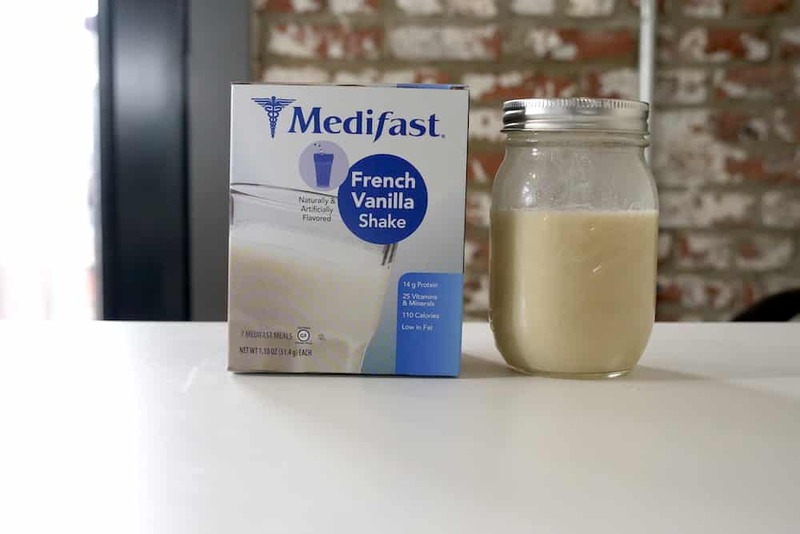 Every Medifast meal is about 100 calories and most of the company’s weight loss plans involve four or five Medifast meals per day, so let’s see if the French Vanilla flavor meal replacement shake holds up to scrutiny. Medifast is super nutritious and with the protein and fiber, it may satiate hunger for very few calories. One serving comes in a packet and delivers 110 calories: 14 grams of protein, 13 grams of carbs (4 grams of fiber, 7 grams of sugar). There’s just 2 percent of the recommended daily intake of cholesterol and 11 percent of your daily sodium. As far as other micronutrients go, one serving has 20 percent of the RDI of a slew of vitamins and minerals, including the obvious ones like B-vitamins, Vitamin C, iron, and calcium, to the not-so-obvious ones like Vitamin D, magnesium, zinc, chromium, and copper. 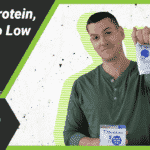 The protein is a combination of soy and whey and the rest of the ingredients are mostly natural and artificial flavors, thickeners and stabilizers, and the artificial sweetener acesulfame potassium. What’s the best meal replacement on the market? Check out our complete list! So those are the upsides: 20 percent of most of your daily nutrition. Some people scoff at “20 percent,” thinking that a nutritious shake should provide as close to 100 percent as possible, but remember that Medifast does often recommend taking 4 or 5 of these shakes per day along with one or two nutritious, balanced meals. Indeed, it is important to have at least one nutritious meal with a considerable amount of fat, there’s just half a gram of fat per serving. Even five of these shakes won’t bring you to 5 grams, and a daily intake is usually recommended as somewhere between 45 and 75 grams. 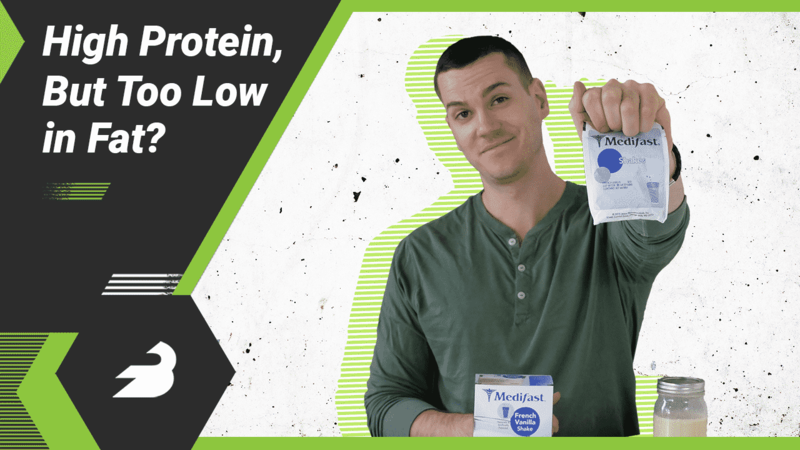 Micronutrient-wise, this is a pretty impressive product, particularly since it has a decent amount of Vitamin K and potassium, two nutrients that are often left off of meal replacements. One potential downside is that there aren’t any ingredients geared toward digestive health, like digestive enzymes, prebiotic fiber, or probiotic bacteria. It also contains artificial sweeteners and flavors, which some people try to steer clear of. You can buy these packets on their own, in a box of 7 packets for $20, or a case of 84 packets for $234. In any case, the price is roughly $3 per serving. That’s pretty expensive, but Medifast also offers a lot of kits that include other products that can lower the price somewhat, but you’re unlikely to find a Medifast meal for under $2.50. The French Vanilla shake tasted like a marshmallow rice crispy square, and I loved it. It’s not naturally flavored, but the artificial flavors come together to make for a pretty darn tasty drink. I mixed it with water; make sure it’s extra cold. I was pretty impressed by the taste and the breadth of micronutrients in Medifast’s meal. The main drawbacks are the lack of ingredients for digestive health and the extremely low fat content. If you’re planning to consume 4 or 5 of these per day, make sure your whole food-based meals aren’t low fat. Besides that, Medifast has a lot going for it.